Thursday saw a full house at CADWA for the final judging of the Intermerseyside Photography Competition. The judge was David Butler who praised the high standard of entries. In all, sixty images from six local clubs were competing for both the club award and an individual trophy for the best image in the competition. The results were really very close with St Helens taking the lead on the final night. Congratulations should also go to Carol Tipping FRPS AFIAP for winning the best image in the show with an excellent image of “Woodpecker feeding her Young”. Our own Ian Kemp was very unlucky as his image “Art and Soul” was winning throughout the competition but was beaten in the last round ! 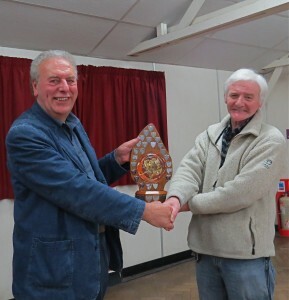 Congratulations to St Helens Camera Club, who have won the Inter Mersey Trophy for the third time in the last six years! Well done everyone from Maghull, Southport, Hoylake, SLPS and Crosby too for entering into the spirit of the competition and delighting us with your super images!